CEO Jeffrey Storey insisted his team remained “committed to and confident in our ability to maintain the dividend.” I understood the commitment, but questioned the confidence–taking on debt to pay dividends is a losing game. But then again, what else is the guy going to say?! 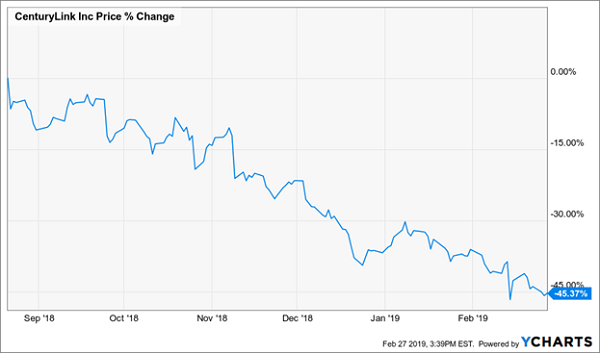 As recently as February 8, I warned investors that CenturyLink was a high yield trap. It was inevitable that its lack of cash would topple any commitment and confidence. Sure enough, just six days later, Jeff and the boys made me look good by slashing their payout by a cool 54%. As we’ve discussed time and again, dividends are “magnets” that drag their share prices along. This is great when dividends are growing, but disastrous when they are slashed! 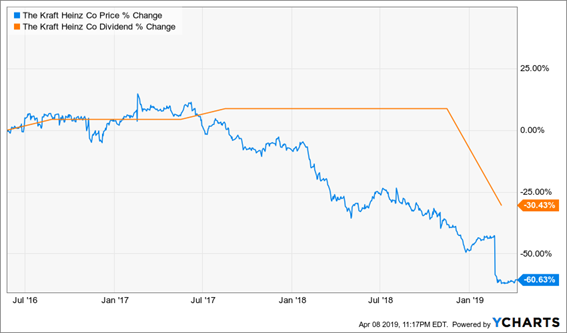 With CTL’s latest payout cut now in the rearview mirror, my publisher patted me on the back–and tasked me with finding eight more dividends likely to drop! Luckily for me, we have access to Blockforce Capital’s “DIVCON” system. DIVCON is a an easy-to-understand 1-to-5 system, where DIVCON 5 implying the greatest chance of a dividend increase, and DIVCON 1 implying the best change of a payout cut. The system looks at a company’s profits, cash flow, dividend histories, analyst sentiment and more to determine the overall health of its stock’s payout. These are many of the same investing metrics that I evaluate when analyzing stocks, so it should be no surprise that I often find myself nodding in agreement with DIVCON’s scores. And DIVCON has plenty more red flags to plant today. Here are problem payouts you should be very skeptical of today. That’s the nicest thing I can say about this dinosaur. Macy’s operations are in terminal decline. Back in 2016, roughly 100 of the retailer’s locations were performing so poorly that the company said it would just shut their doors as their leases expired rather than spend the money to turn things around. Wall Street’s typically optimistic-leaning analysts think that Macy’s is going to improve its sales by a rounding error for the next two years. These same analysts think that Macy’s is going to have an increasingly difficult time making a profit off those sales. Based on these projections, Macy’s payout ratio would jump from 36% to 51% without touching its dividend. That dividend isn’t growing, either. The writing was on the wall in early 2017 when Macy’s failed to announce its usual increase; its quarterly dole has been stuck at 37.75 cents for three years now. If Macy’s does adjust its dividend, DIVCON’s analysts suggests it would be to cut or eliminate it. When you think of casino stocks, you think of the glitzy, glamorous resort companies: MGM Resorts (MGM), Las Vegas Sands (LVS) and Wynn Resorts (WYNN). International Game Technology (IGT) is what you find when you pop open the hood. IGT is a multinational gaming company that produces video slot games such as Wheel of Fortune Cash Link and Fuzzy’s Fortune. But more importantly, they also have developed various systems for sports betting, lottery, even casino rewards. If you’ve been in a casino, there’s a decent chance that IGT has in some way shaped your experience. Despite its breadth of products and global reach, IGT has hit a plateau. Revenues declined in 2018 for the second consecutive year, and the company has posted losses in three of the past four years. 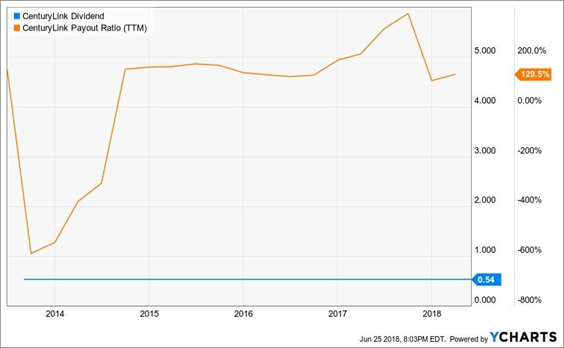 The company’s 20-cent-per-share quarterly dividend has remained flat since 2015, and has been fully funded by profits just one year during that time. Negative free cash flow is a regular occurrence. The only reason the yield keeps going up is because the stock keeps sinking. IGT shares plunged 12% in a single day this March after the company posted adjusted earnings of 24 cents per share that were well short of expectations for 33 cents. That was the company’s sixth quarterly miss in two years. DIVCON gives IGT its lowest score, and it’s well-deserved. Profits and cash are sparse, and management can’t even manage analyst expectations. Don’t keep sinking your dollars into this money hole. In February 2019, Kraft Heinz (KHC)–the consumer staples Frankenstein backed by Warren Buffett’s Berkshire Hathaway (BRK.B) and 3G Capital–said it would pay a 40-cent quarterly dividend. The problem? That was 36% less than it paid the prior quarter. DIVCON wasn’t fooled either, giving Kraft a score of 2 that implied a dividend cut was likely. But despite easing up on its cash obligation, the dividend-scoring system thinks KHC still is in danger of more cuts, and in fact has downgraded it to a 1 as of the end of March. While Kraft’s new payout is more manageable, profitability continues to be an issue, with analysts expecting a 21% drop in earnings this year to $2.80 per share. And don’t forget: the company’s disastrous Q4 earnings and dividend cut also revealed that the company was being investigated by the SEC over its accounting and procurement policies. Even if nothing material comes from it, Kraft clearly needs to get its house in order. The problem with so many high yielders like Macy’s (M) and Kraft (KHC) is that they’re the end result of a stock-price beating. Typically, if you want truly safe dividends, you need to buy up overcrowded blue chips with much more modest payouts. But what if I told you that you could have the best of both worlds: high yield and low risk? You’d probably call me crazy. And you’d think I was crazier still once I told you that I’ve recently discovered a way to make low-paying and even non-paying blue chips such as Alphabet (GOOGL) and Facebook (FB) pay out giant distributions. 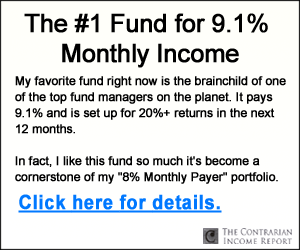 In fact, this system can take 0% dividends and turn them into annual total returns of nearly 30%! This system can take Wall Street’s most growth-first and income-last blue chips and turn them into “double threat” holdings that put traditional dividend stocks like Procter & Gamble (PG) and Coca-Cola (KO) to shame. Imagine using stocks such as Visa (sub-1% dividend) and Alphabet (not a penny in dividends!) to not only leg out double-digit upsides, but collect 8%-plus dividends to boot! These Dividend Conversion Machines have specialized businesses that allow them to wring high-single-digit dividends from some of the most skinflint companies in America. One of these “DCMs” takes Visa’s 0.6% payouts and magnifies it to 9.2%. 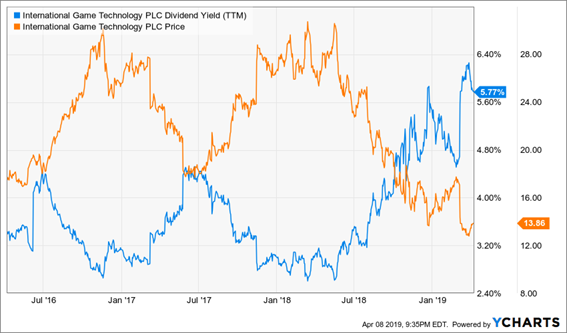 Another DCM takes Google’s 0% and produces a 9.4% yield out of thin air. That’s it! That’s all you need to do! Best of all, these four dividend plays have one final trick up their sleeve that makes them perfect for retirement portfolios: They pay out their dividends monthly. 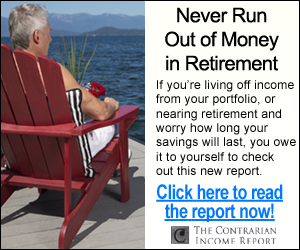 So if you’re in retirement, you can easily plan your bills around your income payouts. Even if you’re not, you still win, because monthly dividends compound quicker than quarterly payouts, helping you grow your account even faster!